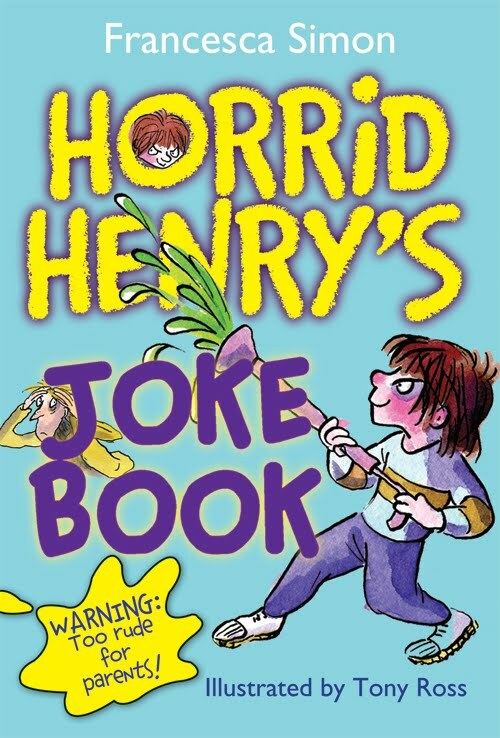 Summary: Horrid Henry’s Joke Book features chapters dedicated to jokes much too rude for Mom, jokes not to tell your teacher, wisecracks for your baby-sitter (just make sure you can make a quick getaway! ), underpants and stink bomb witticisms, and more humor from Moody Margaret, Sour Susan, Aerobic Al, Beefy Bert and Dinosaur Dave. 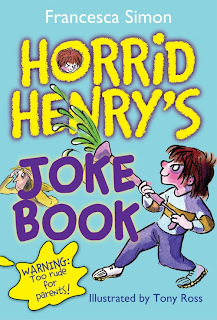 I love Horrid Henry books so I just had to review his joke book. It definitely wilder than any joke book I read as a kid. A few of them had me with an open mouth wondering if it’s really appropriate for young kids but I guess they aren’t that bad. Especially for 10 and up. Even though they are simple jokes, they are really quite funny. Even as an adult I was laughing out loud to a lot of them. There were a few jokes I’d heard before but most of them were new which was nice. I was afraid of hearing the same old jokes over and over again. What’s an insect’s best pick up line? What do you call a dinosaur with one eye? What do you call a crocodile at the North Pole? *I received a copy of this book for review but all reviews are honest and not affected by how I acquired the book.